In todays article, we will be discussing Pallet Safety. Pallets LLC is a pallet manufacturers company and pallet safety is very important to us. With the booming trend in DIY “industry”, popularized across American households, there comes a package of family quality time, creative fulfillment, environmental benefits, and… a variety of pesticide hazards accompanying your repurposed materials. This risky business may be hiding in obtained wooden pallets and you may not even be aware of its existence. Fortunately, there are ways to guide you through the process of selecting the right wooden pallets for your next project that will aim at keeping you and your family safe while having the time of your life. The IPPC (International Plant Protection Convention) developed specific approach in order to reduce the risks associated with spreading pathogens. The ISPM 15 is a phytosanitary measure that requires all manufacturers of wooden pallets to properly treat their products to avoid the introduction and spread of quarantine pests, which are found to have hazardous impact on forest health and biodiversity. According to U.S. Department of Agriculture, currently there are only two acceptable ways of WPM (wood packaging material) treatment, which include MeBr (Methyl Bromide) fumigation as well as heat treatment, labeled as HT. What is Methyl Bromide? The effects of this fumigant have been closely studied throughout recent years, and many studies have confirmed the negative effects of this toxic treatment. After acute and intense exposure to MeBr, a variety of neurological problems may occur (Calvert et al., 1998). According to toxipedia.org, the pesticide enters the body via breathing air, skin, or eyes, and EPA lists it as a highly acute toxic. 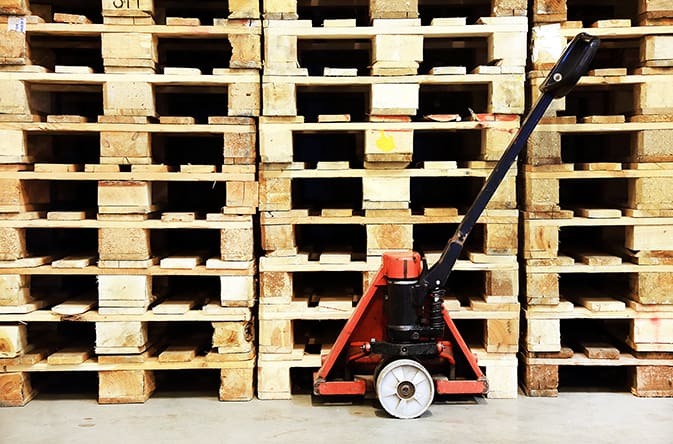 An alternative, and accepted, method for treating wooden pallets is the heat treatment (HT), which is the process of heating the packaging material to reach the core temperature of 56° C for at least 30 minutes. The entire process is meant to thoroughly sterilize your wood and get rid of all the living microorganisms. And this would be the best option for your recycled pallets. All wooden pallets that meet the IPPC standards should be appropriately marked and stamped by an accredited agency. However, it is extremely important that you understand the meaning behind this designed coding in order to avoid the toxic and chemically exposed choice. [MB] means the wood has been treated with Methyl Bromide. Even if this is your only choice of wooden pallet, keep your hands off of this material. The pallet is not safe for you and your family, as it has been exposed to toxic substance. [HT] as mentioned above, this stamp stands for heat treatment. The pallet, which has undergone such process, is safe and sound. There seems to be a bit of confusion in regards to lumber or WPM, since you may notice additional marks present on your pallet, not discussed above, which are also treatment options for wood with no intent to decontaminate the material. [KD] which stands for kiln dried, refers to the process of reducing moisture content of wood. The goal of this treatment is to prevent excessive warping and cut down the weight of the lumber. If you notice this mark on your desired pallet, you may safely make your choice. [DB] debarking, is the mark that is no longer used by accredited agencies. However, you may still see the abbreviation on older pallets. The wooden pallet with such stamp is chemically-free and safe to use for your project. You may come across wooden pallets outside of United States or Canada, which may go by different standards. There are two marks associated with European pallets – EUR or EPAL. Europe forbids chemical treatment of wood, so if it’s only marked with EPAL (new system), you may safely use the pallet. However, if the stamp says EUR, it comes from the older standards and the best option is to avoid using the pallet. We truly understand the beauty of color, and you may think the pallet will not need much renovation after the project is accomplished. In fact, there is a certain kind of deception when it comes to colored pallets. Pallets1001.com suggests that there is a chance most of the colored pallets might have been used for transportation of various chemicals, and traces of formaldehyde may be found. If you cannot establish the origin of the reclaimed material, such as lack of stamp that informs about the treatment of a pallet, do not use it. Are Marks All I Need To Pay Attention To? Definitely not. Stamps with specific codes only inform you about the treatment your pallet has received when it left the manufacturer, but it may tell you a whole bunch about its lifestyle as a shipping and handling equipment. 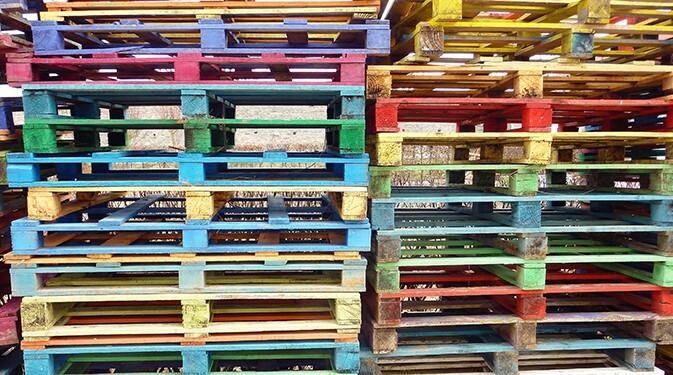 Most of the recycled pallets come from places where they have been previously used for various purposes. Make sure to check out our article on how to obtain free wooden pallets, where we highlight the importance of choosing the right place to inquire about wooden pallets. If you suspect your pallet is not good enough for domestic use, discard it. Reclaimed materials are a great way to affordably and pleasantly put your creativity into action and enrich your house, inside and out, with hand-crafted treasures. As with any other DIY projects, certain precaution must be undertaken in order to safely enjoy your spare time. Keep in mind that the self-made projects will most likely gracefully contribute to your interior design or your backyard for a long time, making you and your family susceptible to any hazards it will carry along.